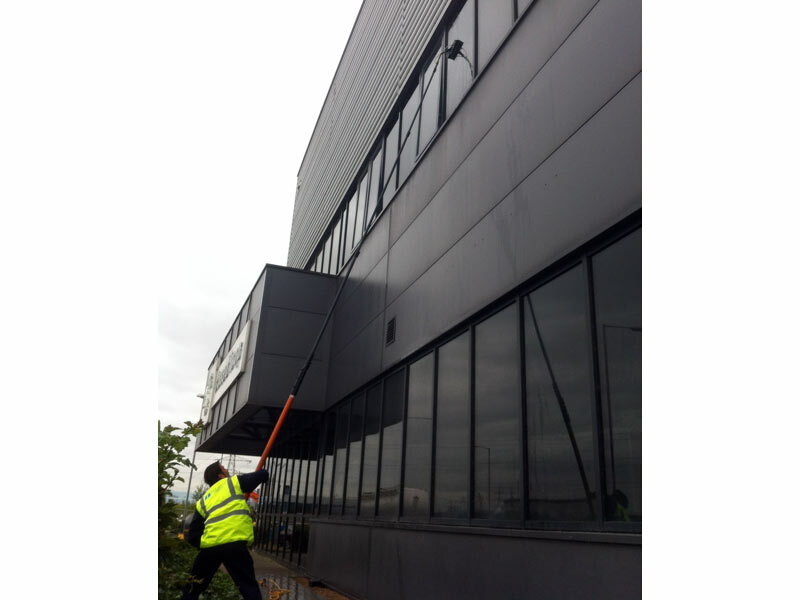 The Dragonfly System allows for internal window cleaning to be carried out without the need for time consuming (and expensive) sheeting to protect your products/floors etc. 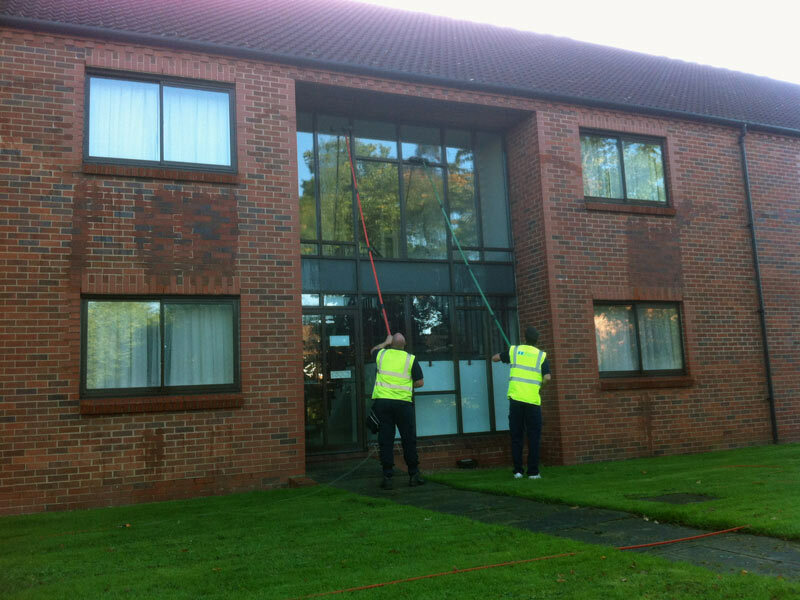 The conventional method of window cleaning will always lead to drops of dirty water falling off or running down the windows. 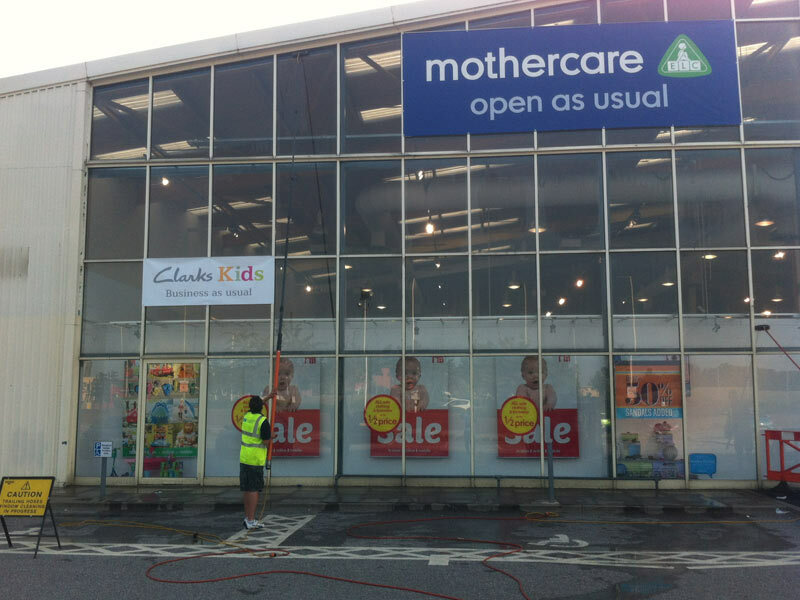 Time has to be spent sheeting up areas to protect floor finishes, stock and decorations. 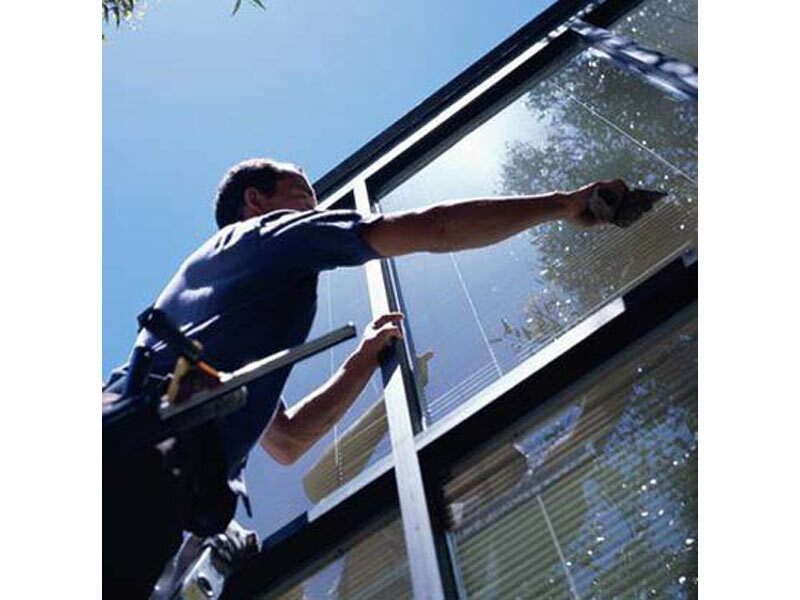 We often come across glazing details that have bulkheads up tight to the glass. 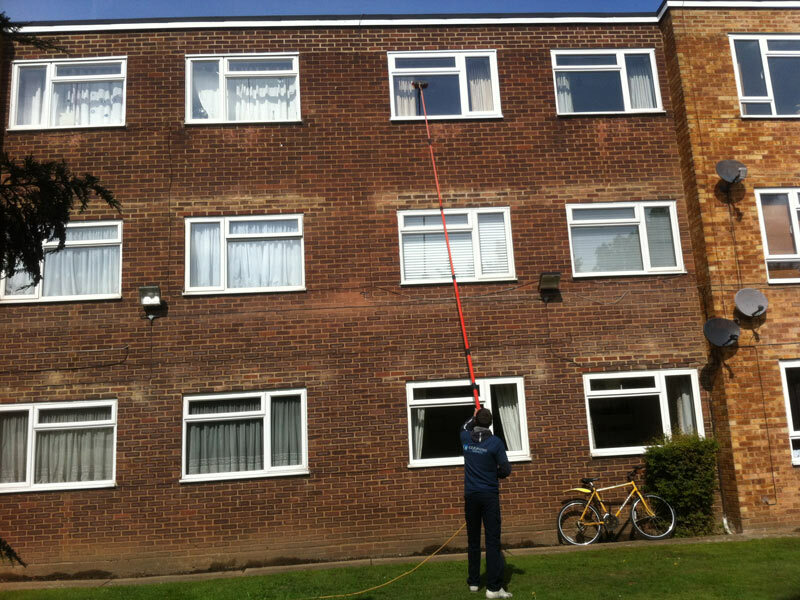 The Dragonfly will clean within a three inch gap with a reach of up to 35ft from the ground! 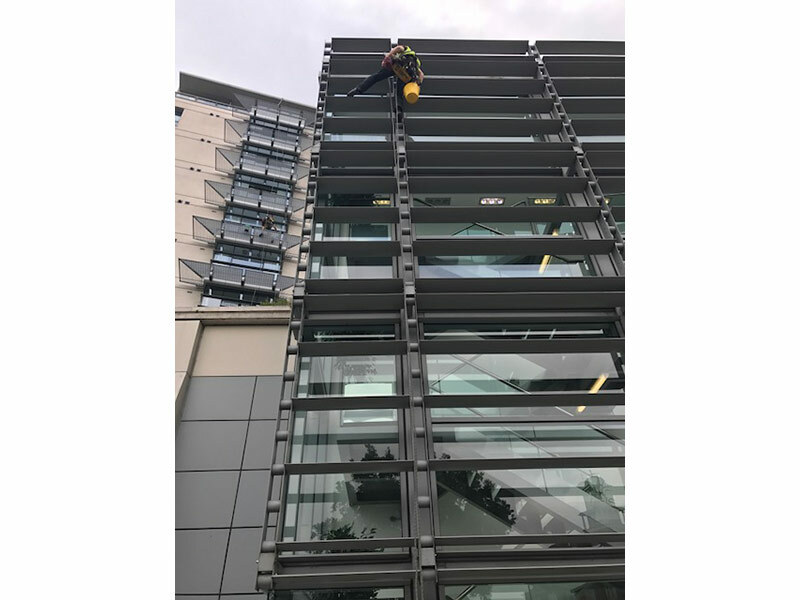 This is a fantastic solution to maintenance issues in the modern day shop fit, that means we can get to heights that other cleaning companies cannot reach. 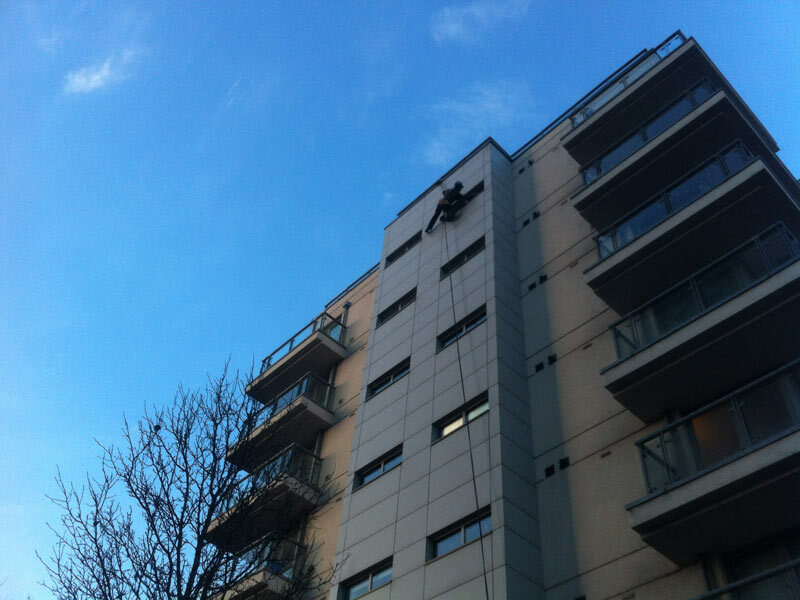 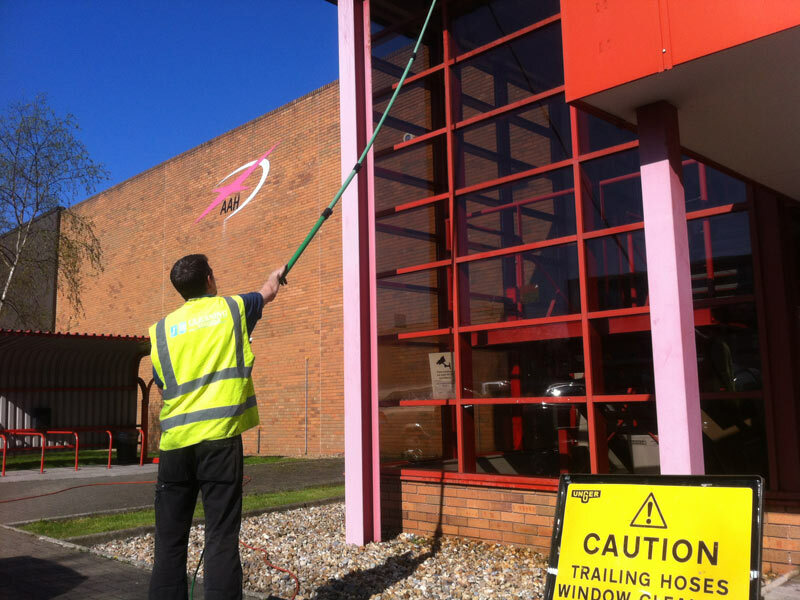 The Dragonfly takes Vikan EasyShine kits to new heights and makes internal window cleaning even easier! 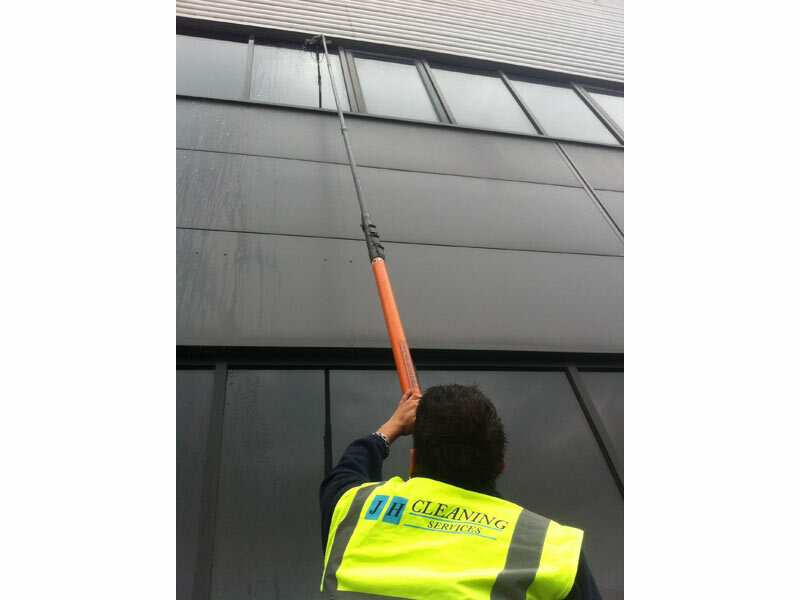 With the mop plate extended at height, we spray pure water/detergent directly on to the glass to be cleaned from a simple pump system. 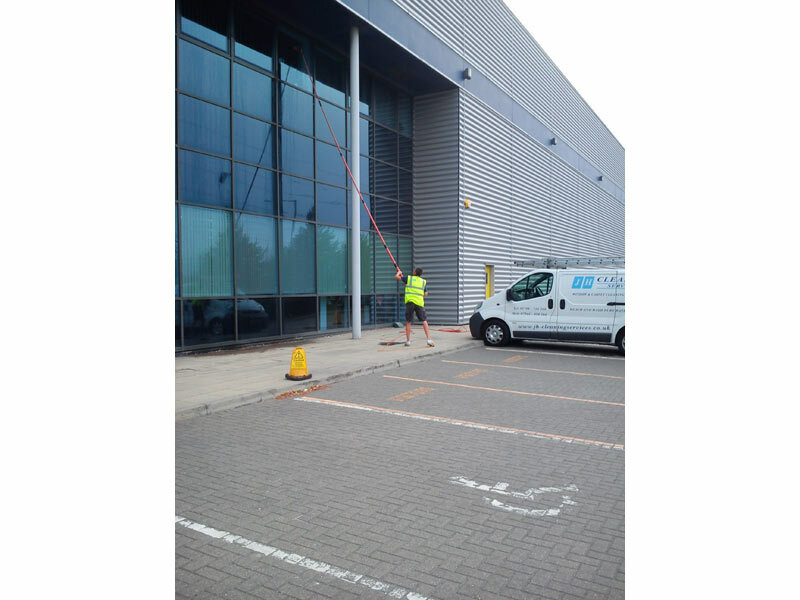 The glass is then cleaned using the unique Vikan micro-fibre cleaning pad. 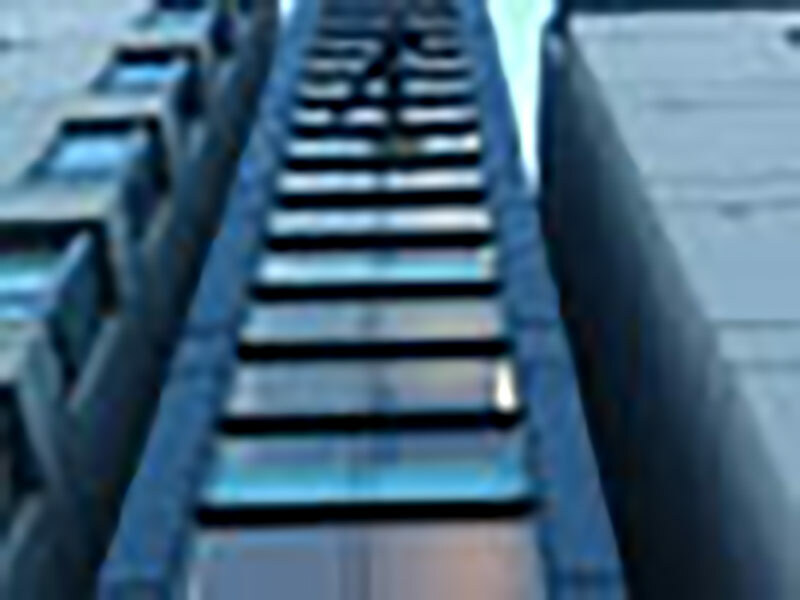 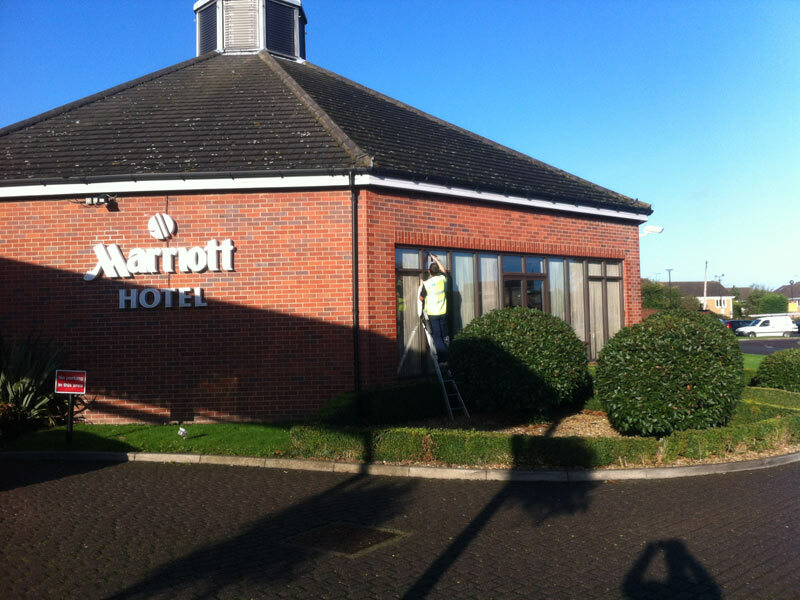 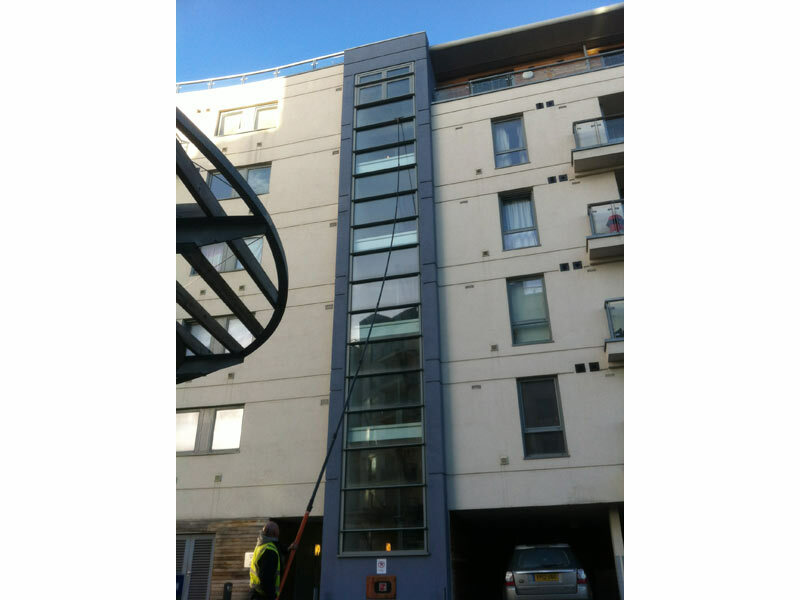 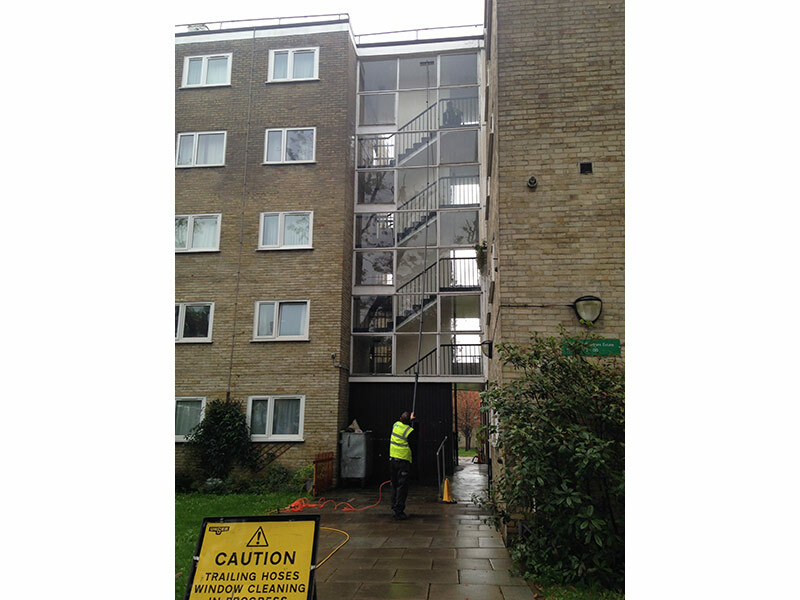 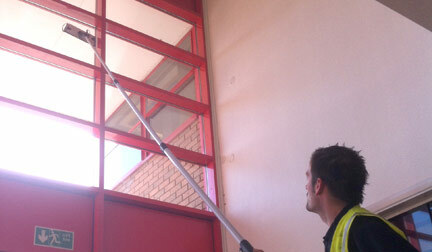 This system enables us to clean awkward glazing details safely from the ground. 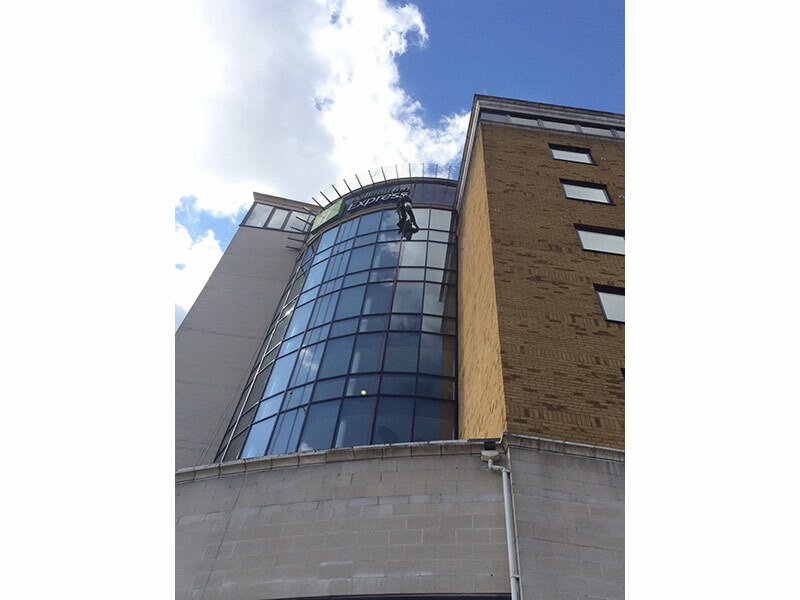 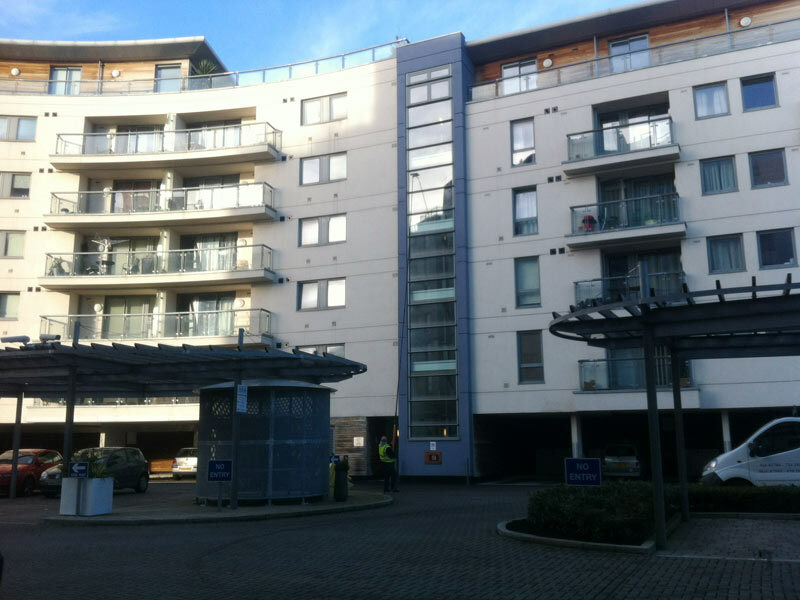 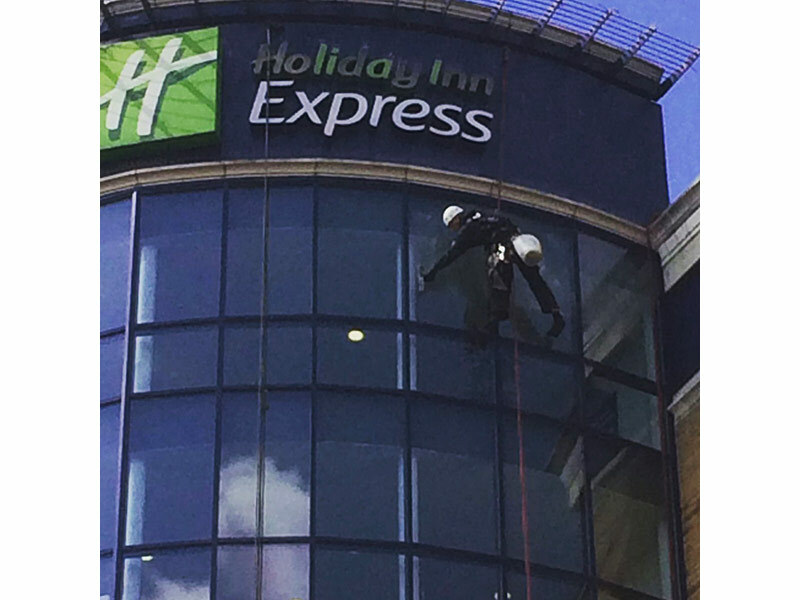 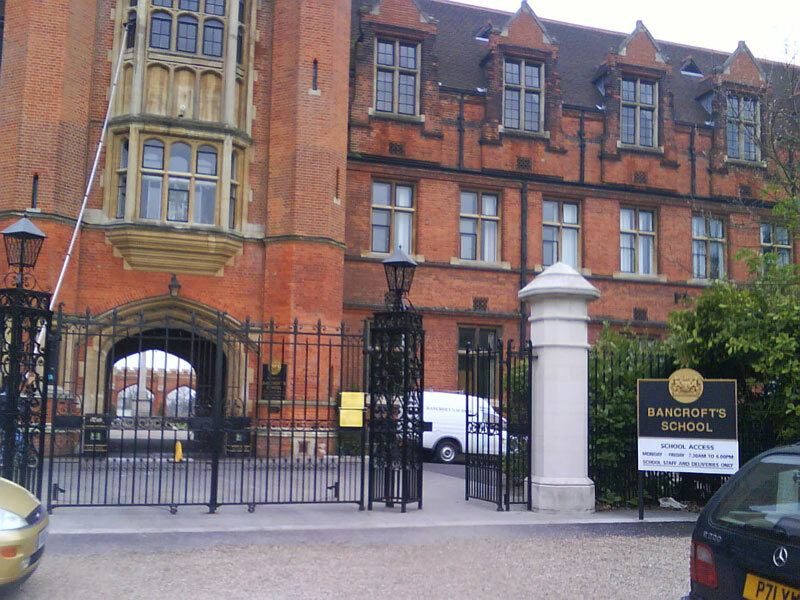 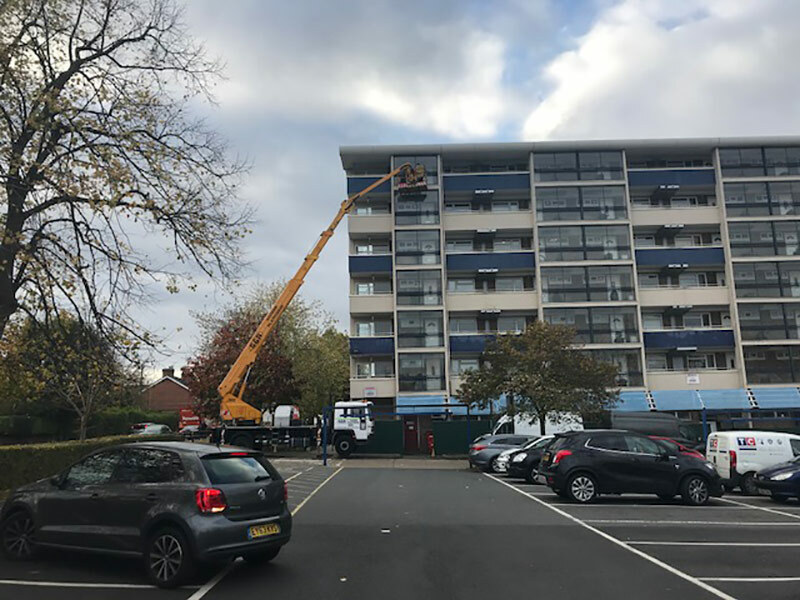 This system has simplified internal window cleaning and in most cases eliminates the need for special access equipment, allowing us to work smarter, safer and more cost effectively.